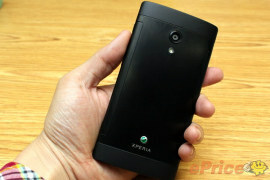 Sony had announced earlier this year that we can expect an international version of the Sony Xperia ion to come out in the summer. In a press conference in Taiwan, the company unveiled just that - the Sony Xperia ion LT28i (the AT&T version, which was exclusive to the US until recently, is dubbed LT28at). The phone is almost identical to the US carrier option - 4.6" 720p LCD screen backed by Mobile BRAVIA technology, 12MP camera with 1080p video capture, Snapdragon chipset with 1.5GHz dual-core processor, NFC and 16GB built-in memory (expandable with microSD cards). In other words, it's like a bigger Sony Xperia S, unfortunately including the Android 2.3 Gingerbread OS at launch (with an ICS upgrade coming). The only feature not on the list seems to be LTE - as 4G networks are still hard to come by outside the US, the Xperia ion relies on HSDPA. 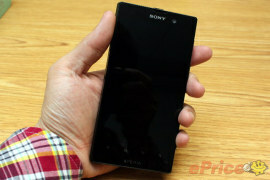 So far the Sony Xperia ion LT28i is announced for Taiwan only (and only in black), but there's no official launch date or pricing info yet (rumors have it availability will come next month, though). Sony should make it available in other countries too, but we're yet to get more info on that. Thanks to steelicon for the tip!